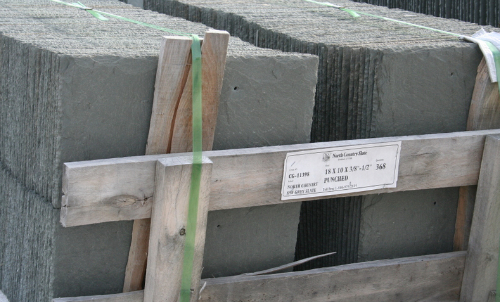 Slates are tightly fitted into a heat treated wood pallet. 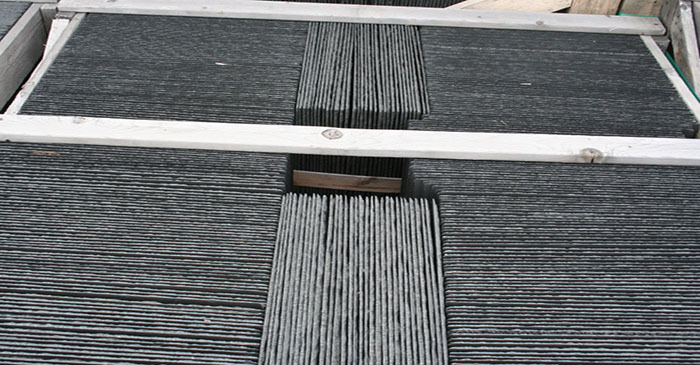 It’s important that they are braced tightly to prevent breakage during transportation. They are packaged on their edges and never flat. 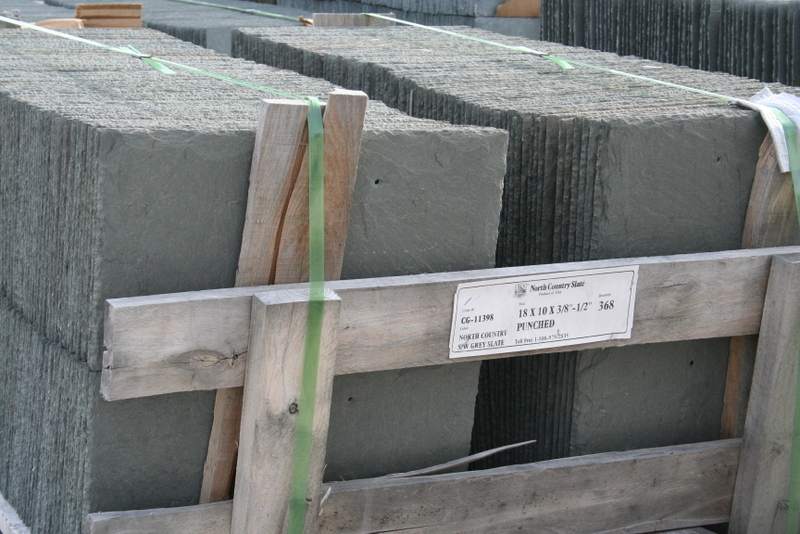 Depending on the size of the slates and pallets, there can be two to three rows of slate. 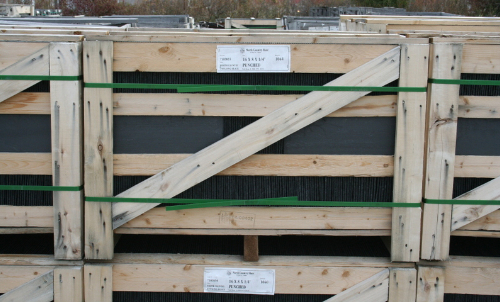 The North Country Unfading Black pallets come in two sizes and when fully loaded will weigh between 3000 to 3500 Ibs. These pallets can be double stacked because of their design. In September 16, 2005 the United States government required all wood packaging material to be heat treated. 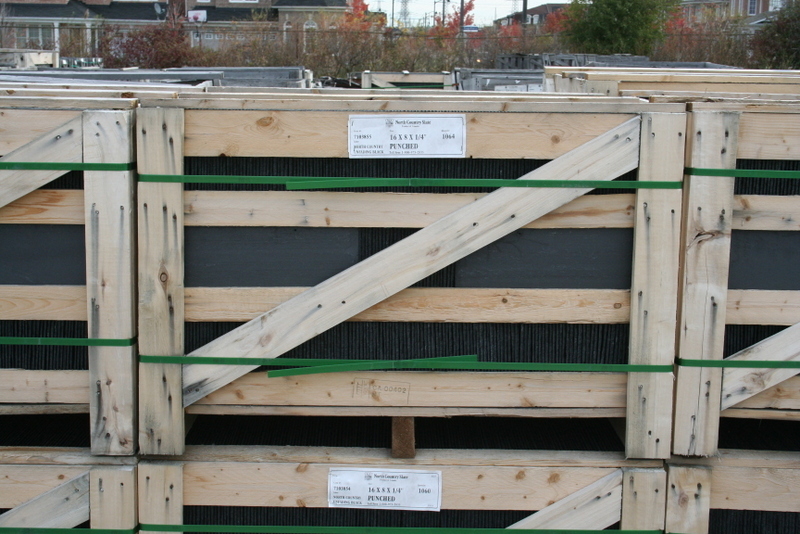 Each pallet has an IPPC (International Plant Protection Convention) stamp which represents the ISPM #15 standards. The example stamp above shows “CA” as the Country and the “00030” is the unique certification number. “HT” stands for heat treated. Wood pallets are heat treated to prevent invasive insects from being transported from one country to another. Canada implemented this program in 2005 after noticing damage to Maple and broadleaf trees which were under attack from the Asian Long Horned Beetle believed to have been introduced to North America in the 1990’s through untreated wooden shipping pallets. These species cause irreversible damage to our forest ecosystems. The pallet in the picture below is a typical Vermont/New York style pallet. Don’t be fooled by not seeing a fully enclosed pallet! 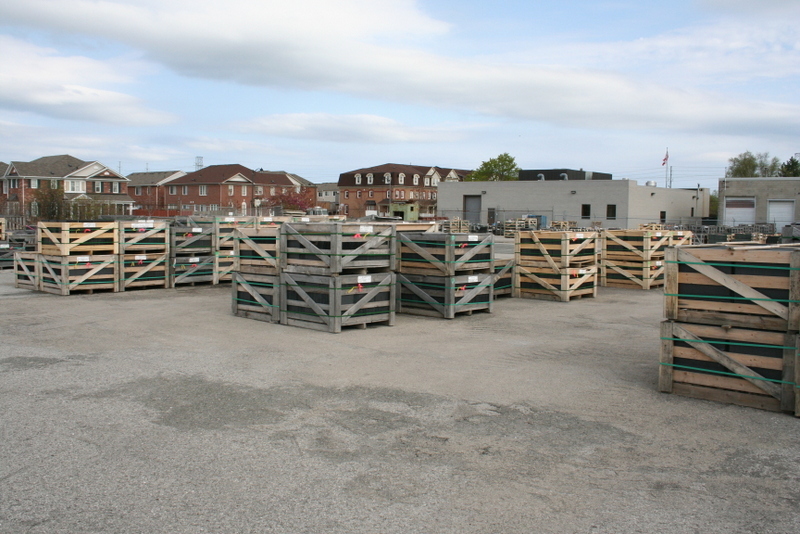 These pallets are also designed to hold between 3000-3500 pounds!